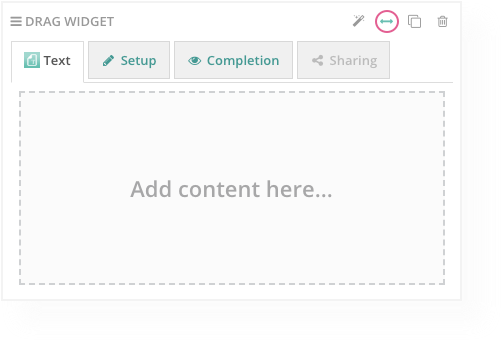 When designing your content, you have the option to display widgets Full-Width (as wide as the page) or Half-Width (half the width of the page). To change the width of a widget, you will need to go to Edit mode. At the top of each widget you will see these icons on the top-right corner. Click on this icon to Shrink to Half-Width. Or, this icon to Expand to Full-Width. Click View at the top of your page to save your settings.